Very quiet apartment in a residence block in the wild nature of Sardegna (you can sometimes see fawns near the house). The apartment is nicely furnished, full of light and fresh. You can see lovely sunsets from the terrace that overlooks the sea. The terrace of 12 sqmt is also used to eat and sunbathe. Das Beste zuerst: Der Balkon mit Aussicht auf das Meer ist großartig und geräumig. Es gibt Zugänge vom Wohnzimmer und Schlafzimmer. Das Kinderzimmer ist sehr geräumig mit einem Hochbett sowie einem Einzelbett. Das Wohnzimmer, das sich kombiniert an die Küche anschließt, bietet einen Esstisch, eine ausklappbare Schlafcouch und ein Regal mit allerlei Büchern und einem (gegenüber den Fotos modernisierten) Fernseher. Vor- und Nachteil: Portu Maga liegt recht abgelegen. Das sorgt, außer im Juli und August, für ziemlich menschenleere Strände - für uns der Grund, hinzufahren. Allerdings sind die Wege zum Einkaufen und zu Ausflügen dadurch recht langwierig. Die Fahrt nach Oristano dauert eine gute Stunde. Das empfehlenswerte Bergstädtchen Arbus mit Fischläden, Fleischern und vielen weiteren Lädchen ist über eine etwas sportliche Bergpiste in 30-40 Minuten erreichbar. Man sollte sich darauf einstellen, für mehrere Tage einzukaufen - oder den kleinen Tante-Emma-Laden am Eingang der Anlage nutzen, der die grundlegenden Lebensmittel vorrätig hat. Die Strände in der Nähe sind fantastisch, auf je fünf Kilometern nach Norden bzw. nach Süden wechseln sie sich im Charakter von flach und sandig recht stufenlos auf abgeschieden, steinig, felsig ab - u.a. ein tolles Schnorchelrevier. Flache Sandpartien eignen sich gut für kleine Kinder, direkt vor dem Balkon gibt es einen Abschnitt mit Rettungsschwimmer (saisonal). Einziger echter Nachteil aus unserer Sicht: Die Wohnung ist am hohen Ende der Wohnanlage gelegen. Das sorgt für einen tollen Blick, aber mit mehr Gepäck oder gar einem Kinderwagen kommt man nicht wirklich zu Fuß zum Wasser. Ausgewachsene Zweibeiner mit Rucksack schaffen das aber über vorhandene Treppen durchaus. Mit einem Rollstuhl/Kinderwagen sollte man grundsätzlich zur Wohnung kommen, ich würde mich damit angesichts der steilen Rampe nicht sicher fühlen. Die Übergabe vor Ort ist unkompliziert & freundlich. Gern wieder! Vue magnifique sur la mer la montagne. Immense terrasse vue pleine mer. La casa è in una posizione privilegiata: fronte mare. Tutte le sere il tramonto offre il suo spettacolo, ogni sera diverso e ogni sera ti incanta. La spiaggia sotto casa è bellissima e nelle vicinanze ne troverete altre, altrettanto belle. La casa avrebbe necessità di qualche lavoro di manutenzione. Francesca è una persona davvero disponibile e gentile, e ci ha dato numerosi consigli sui posti da visitare nelle vicinanze ... tutti bellissimi. Io.a Portu Maga ci tornerò! Appartement conforme aux photos, très propre. Serenella est très accueillante et disponible. Nous avons passé un très bon séjour du 20/07/18 au 03/08/18. Repos dans cet endroit très calme et très nature. La plage est superbe et nous avons découvert de belles petites criques sur toute la côte ou nous avons pu nager seul. Les enfants ont adoré pouvoir aller à la plage à n'importe quel moment de la journée. L'eau était bonne dès le matin un vrai régal. Nous sommes ravis. Merci à Francesca et Serenella. Appartamento funzionale e arredato con grande gusto. Vista sul mare mozzafiato...pace e silenzio. Siamo una famiglia di quattro persone e abbiamo soggiornato in questa casa due settimane. La meta è ideale per chi cerca mare, natura e tranquillità. La casa è arredata con grande cura e personalità (la terrazza affacciata sul mare è un vero gioiello). La Costa Verde è una parte della Sardegna ancora selvaggia e incontaminata, lontana dal turismo di massa. Per noi è stata una vacanza da sogno! Nous avons passé de superbes vacances. L'appartement est exactement le même que sur les photos. Serenella nous a très bien accueilli . Nous avons apprécié la plage et l'eau transparentes. Le restaurant du camping de piscinas est excellent. . Merci à vous pour les recommandations. The nearest airport is Calgiari where a car can be rented. It will take you a little more than one hour to get to the residence. The usual road is the “statale 131” to San Luri. Then follow the road to Guspini, Montevecchio and Costa Verde. It is also possible to travel by ferryboat, the nearest port being Calgiari (or if you are coming from the north of Sardegna, Olbia and Golfo Aranci). Even if the beach is very close to the house, and even if there are buses to and from the airport and main city centres (from Cagliari to Guspini and/or to Arbus and from Guspini and/or Arbus and Portu Maga), we strongly reccomend the use of a car. The area is characterised by the pure, unspoiled and wild nature of Sardegna. 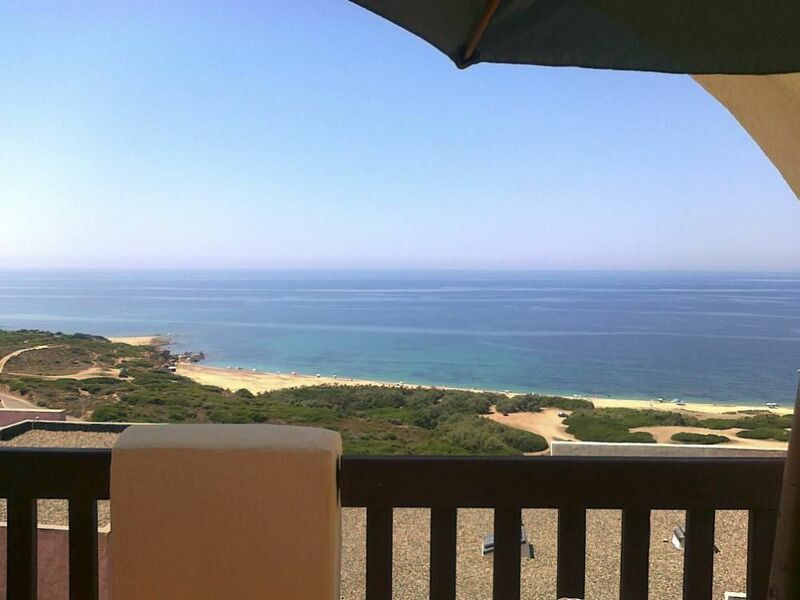 The Residence is immersed in the colours and perfumes of the Mediterranean Macchia and has its own beach. Some kilometres away is the splendid beach of Piscinas, famed for its dunes. This beach is a few kilometres long, you can take walks on it and have aperitives at sunset, as well as sunbathe and swim, of course. There is also a naturistic area. There are very fine restaurants near the house: from Il Pirata, pied-dans-l'eau at 200m from the house (grilled fresh fish); to the hotel Le dune’s restaurant on the beach of Piscinas, at 2 km from the house; to the camping’s restaurant with local cuisine at Ingurtosu, which is at 2,5 km from the house and has very honest prices and a lovely view on the sea and the woods. There are also various “agriturismi” with local cuisine and products (we recommend "il cervo"). In the residence there are two restaurant/bar(one open just in the summer)a newsagent and a tobacconist,a supermarket and a pharmacy open from June to September. There is also a bigger commercial aerea in Arbus or Guspini, which are both at 35 minutes by car from Portu Maga. Out of curiosity, you can have a locally made beer in Montevecchio (an old village of mining people were you can visit the mine and the main house). Here, there is also an interesting summer festival with concerts and theatre shows.